When it comes to high-end TV design, no one does it better than Loewe. But is the Loewe Connect ID 46 smart enough? 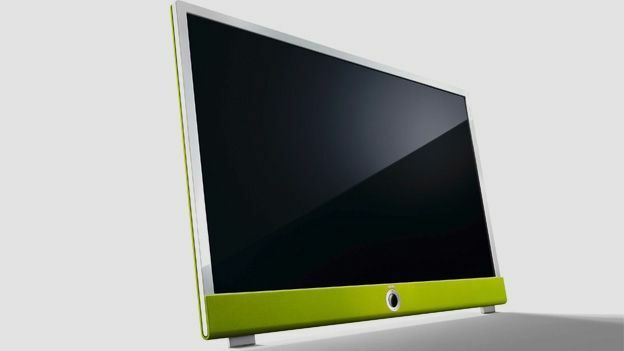 The Loewe Connect ID 46 is the world's most customisable LED TV. Not so much manufactured as hand-crafted, it comes with a choice of coloured cabinet wraparounds and grille finishes, which can be mixed and matched, from glossy black or white to silver, orange, green and beige. No surprise then to learn that the ID tag stands for Individual Design. The 46-inch model reviewed here, can also be picked up as the 32-inch Connect ID 32, 40-inch Connect ID 40 and 55-inch Connect ID 55. Has the 46-incher got what it takes to make it into our list of the best TVs to buy? While cosmetics play a massive part in the Connect ID 46's appeal, this set still finds room for most modern tech niceties, although there are caveats. Its Smart TV selection is rather more conservative than key rivals, with iPlayer, Daily Motion, Vimeo and Tunein Radio. At the time of writing, there's not even a YouTube client. There are subscription offerings for Box Office 365 and Cartoon Network, but these are unlikely to hold much appeal. The user interface is minimalist and therefore somewhat Marmite. Everything about this TV screams bespoke. There's a choice of 12 colour variations of grilles and cabinets in total, providing 2,160 variations on a theme. Even the remote control is uniquely substantial. You can opt to have your ID model supplied with an integrated 500GB PVR too, the DR+ configuration, although this adds £300 to the price. Connectivity is routine. There are three HDMIs, an AV mini socket, PC VGA , Ethernet and two USBs. Wi-Fi is built-in. Joining the Freeview HD tuner is a generic satellite alternative, which pulls in all the standard Freesat channel options, plus some regional variation, when connected to a Sky dish. Obviously though, you don't get Freesat's friendly user interface. Picture clarity is high. Full HD detail is impressive and the Connect ID's colour performance is pleasingly naturalistic (many LED screens are just too gaudy for their own good) and the set is triumphantly contrasty, with deep reassuring blacks. Motion clarity is limited, though, which doesn't make this telly a top choice for sports. On the plus side, the screen's audio performance is superb. Forward-facing stereo speakers are backed up with copious amplification and downward-firing woofer support. The Connect ID 46 is 3D compatible, but it doesn't make much of its Active Shutter Full HD 3D functionality. No glasses are supplied, so you'll need to budget separately. Loewe has long set the pace when it comes to designer goggleboxes, and with Connect ID it's raised the bar a couple of notches higher. The sheer number of custom finish options available is remarkable. No other TV brand gets interior design like this German manufacturer. The set's also a fairly solid performer in terms of sound and vision, although limitations in motion handling will doubtless curb its appeal to videophiles. If the screen does have a failing it's with its limited online streaming TV options. Overall though, we rate the Loewe Connect ID a stunning design statement. It's a TV with more than a touch of class.